The Amazon Spring Sale is delivering some really tasty discounts right now. However, arguably none more so than this absolute cracker of a deal on the very well rated Amazon Fire TV Stick 4K. Honestly, it's like Amazon Prime Day 2019 has come early. Crucially, though, with the Amazon Spring Sale now wrapping up now is the last chance to bag brilliant 4K streamer at this low price point. 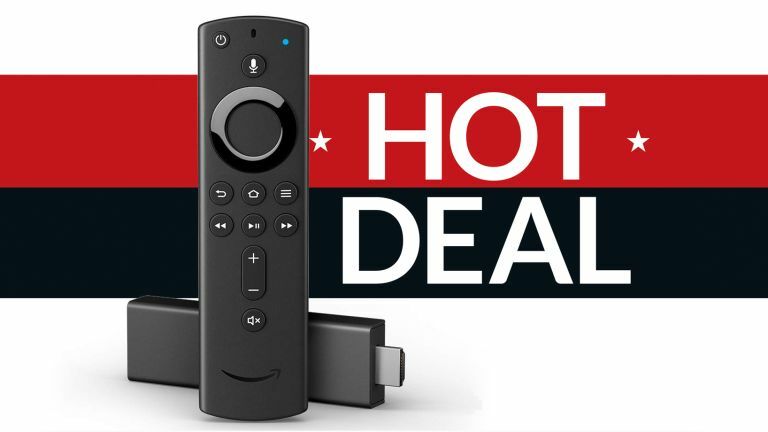 The deal sees the already bargain-priced Fire TV Stick 4K reduced in price by a further 30%, which translates to a straight £15 saving on the pint-sized but very powerful 4K, HDR streamer. The full details of the deal can be viewed below. And, be under no illusion, this really is a quality product, with T3's own Duncan Bell bestowing a maximum 5-star score on the Fire TV Stick 4K on review, saying that "with support for 4K, with Dolby Vision and HDR10+ and even Dolby Atmos audio, this inexpensive, voice controlled video streamer is one of the tech bargains of the year". And that was when it was full price, too! Also, if you are currently looking for Amazon products to fill your home with then be sure to check out our run down of all the discounted Amazon products that are currently available in the Amazon Spring Sale, too.